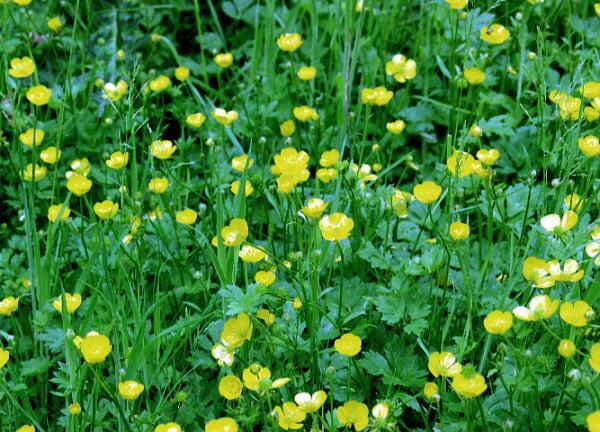 The buttercup family is a mixed bag of plants whose flowers normally have five petals and many stamens. The creeping buttercup and its aquatic cousin, lesser spearwort, are typical buttercups. Two plants in the family brighten up our woods early in spring. Wood anemone is a characteristic plant of ancient woodlands. Lesser celandine colonises any damp spot.